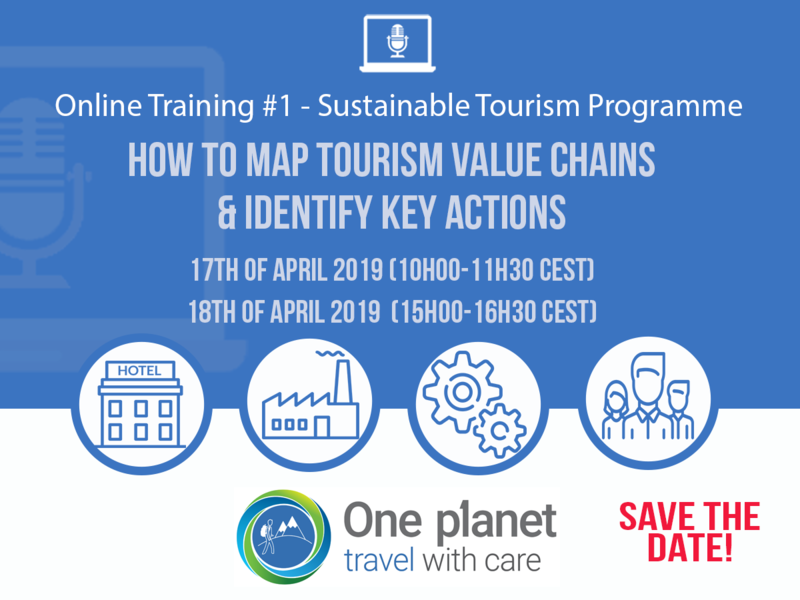 This one hour and half training webinar will help participants to better understand how to map the tourism value chain at a national, destination or business-level, in order to collaborate with value chain partners to improve the efficiency with which resources are used, reduce waste and greenhouse gas emissions and put tourism on a low carbon development path. The value chain mapping approach included in this training webinar has been developed and refined based on work undertaken in four countries where the tourism sector represents a significant proportion of national GDP, as part of the UN Environment “Transforming Tourism Value Chains” project, which is funded by the German government’s International Climate Change Initiative. The training webinar will be conducted by Mark Barthel, a partner at UK-based sustainability and resilience practice, 3Keel, with over 25 years of experience of working on sustainability issues at the international, national, sector and business-level. During his career he has advised a range of different organizations from UN agencies, the European Commission and UK government departments; to major international brands and well-known international NGOs. The training session will be moderated by Sandra Averous-Monnery , Programme Officer within the Consumption and Production Unit of the Economy Division, UN Environment. With 12 years of experience in UN Environment, mostly on sustainable consumption and production, she is responsible for eco-innovation, circular economy and global value chains work, and contributes to the project on “transforming tourism value chain”. The One Planet Sustainable Tourism Programme, as an implementation mechanism forSDG12, catalyses changes in tourism operations. It promotes transformation for sustainability through efficiency, innovation and adaptability. The Programme supports evidence-based decision-making; adopts a life cycle approach for continuous improvement, emphasizes collaboration among stakeholders and results-based project implementation.